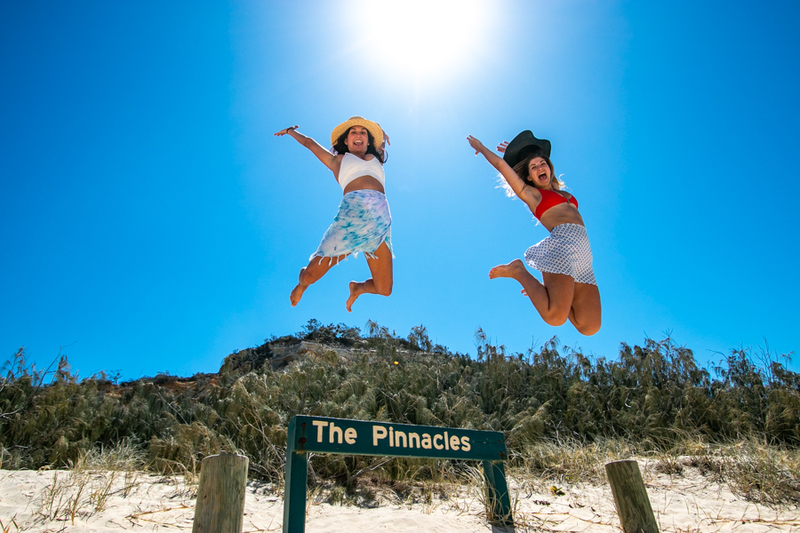 2 Day/ 1 Night Fraser Dingo Tag Along Adventure takes you on an amazing experience around Fraser Island, to some of its highlight destinations and sights. That's right you will have the opportunity to see Central Station, Lake McKenzie and Wanggoolba Creek and more, with the exciting chance to self drive on the world-famous sand island! And, accommodation at the Wilderness Lodge and meals provided along the way. Jeep Cherokee 4WDs as your vehicle! The day will wrap up as you head to Wilderness Lodge where you will enjoy a buffet dinner, and some socialising at the Dingo bar. An early start before you start your journey down the famous Seventy-Five Mile beach, stopping at Eli Creek along the way for a dip. After soaking in this view, experience the bubbling waters of Champagne Pools before returning to Wilderness Lodge late that afternoon where you can enjoy the resort before dinner and departure back to Hervey Bay. Please note, drivers must be 21 years or over!